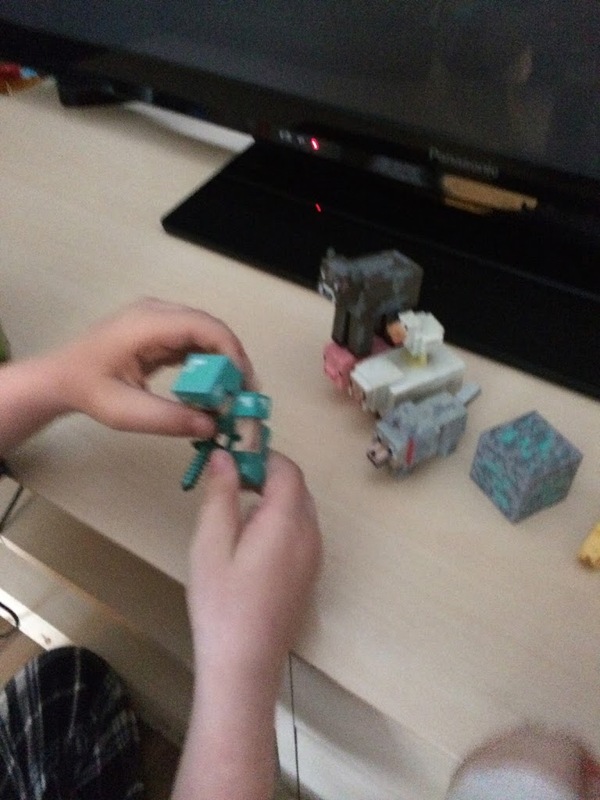 I have never came across a product, game, TV show, etc which has captured the imaginations and attention of both my boys for such a long time and both to play happily together. It’s at the stage where I’m having to limit their Minecraft time. 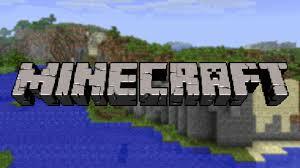 Not just game time, but watching Stampy Minecraft videos, playing, creating their worlds, etc. One thing I’m not having to limit is playing with the excellent products that have come out of the Minecraft phenomenon. The boys play together in each others worlds or build a world together, also their friend can join in on the action from his house via the online connection. For those that aren’t sure what Minecraft is, let me try to explain, I’m not quite there yet myself, but I’ve had a go at least. It’s a game you can play on the PC, handheld like iPod, PS3, Xbox, etc. The game allows the user to create and build their own world. You can add in animals, enchant things and there are other creatures there. There are two modes creative, which you just build, etc and survival, where you have to hide from Zombies, etc or Googlies as they are better known to those in the know. It’s simple to start and becomes very addictive when you start to get into the game. The things my boys have built are incredible, anything from a small house, pens with animals, to football stadiums and a McDonald’s. You’re imagination can run wild. We have a few papercraft kids, but hadn’t any of the actual characters. 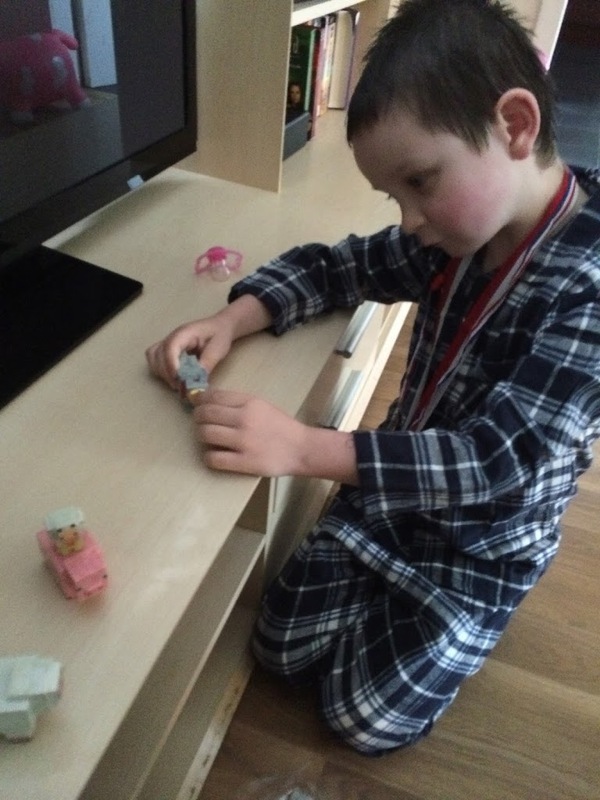 My oldest Lucas who is 7 was over the moon and so excited to receive and play with the Diamond Steve and Animal Mobs. 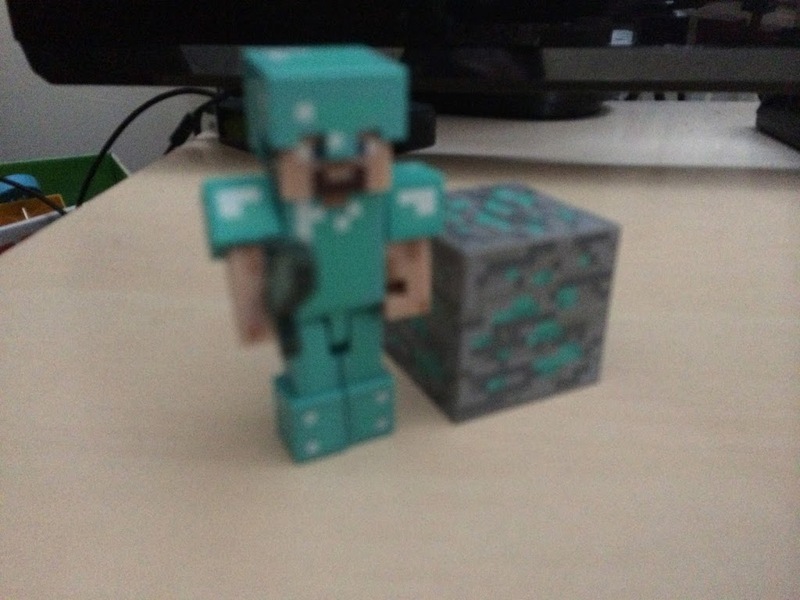 This is the main character in Minecraft, Steve, he is wearing Diamond Armour which makes him almost indestructible. And a Minecraft block. He has a removable helmet which can be easily taken off and on. Steve’s arm’s, leg’s and head move. He is very sturdy, well made and great bright colours. He’s been played with a lot and not lost and arm or a leg yet. It doesn’t look likely either. The Core Animal Mobs are great. The look fab and exactly as they appear on screen. I was so excited when I played the game and managed to tame my first Ocelot and Wolf. Yes, you too will be like this if you play the game. 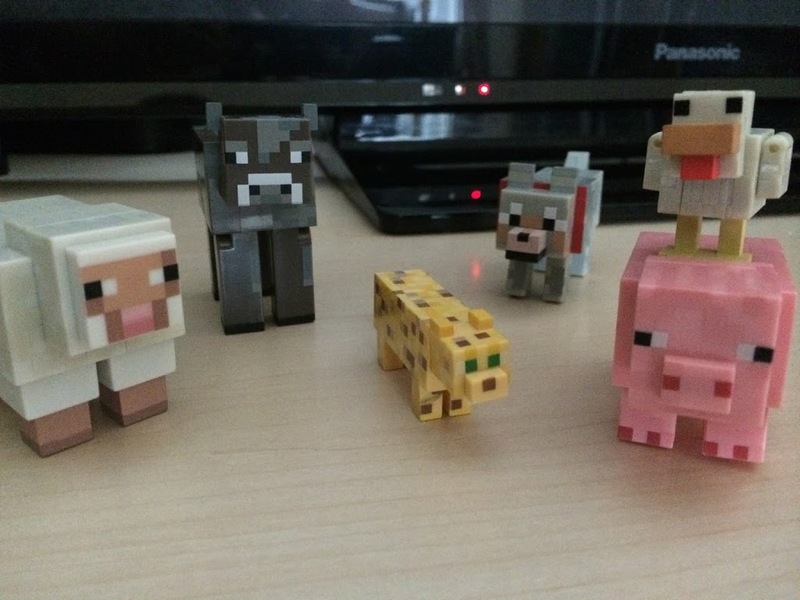 The Animal Mobs pack contains a sheep, cow, tamed wolf (it has a red collar), ocelot, pig and chicken. Some have full leg movement like the wolf, cow and pig. The sheep doesn’t but can be bounced up and down. They too are well made, look great and very colourful. You don’t need to worry about bits falling off and are chunky enough to be played with. They are very realistic and makes them very cool. Now if only they’d bring out a tamed wolf teddy and I didn’t have to make one on the sewing machine. Obsessed I tell you. Both my boys love these toys, Lucas especially. It’s nice to see a game come to life in a way that they can still use role playing and imagination to play it with. Rather than your usual merchandise tat. The boys can bring a part of their game world into their own world. It’s fun and these really do look great. If you have a Minecraft fan I’d highly recommend these.